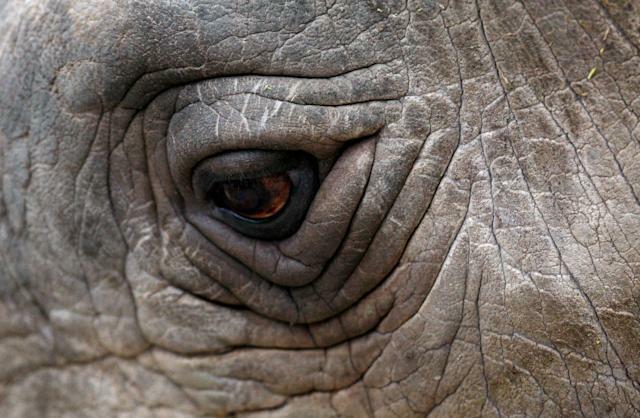 A close-up view of northern white rhino Sudan at a zoo in the Czech Republic in 2009. 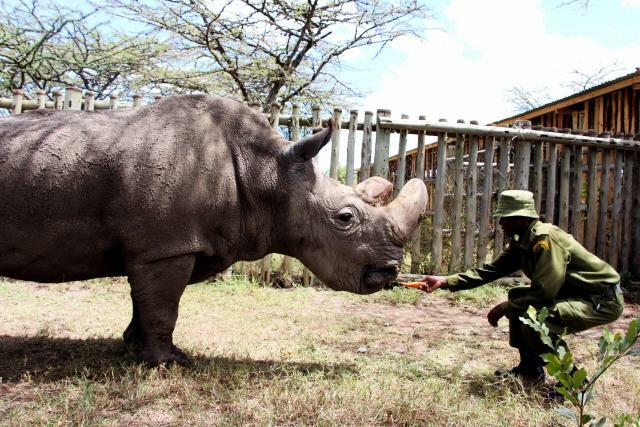 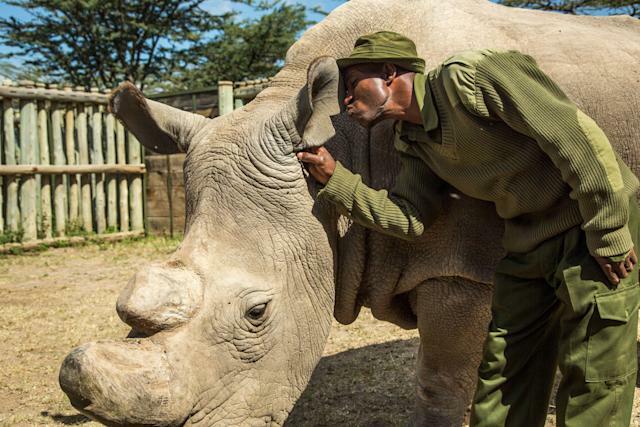 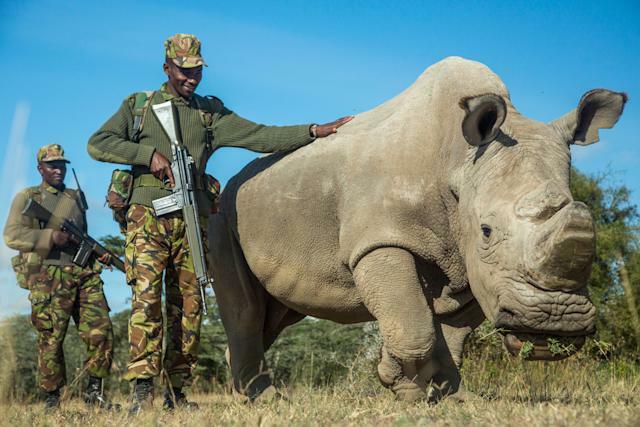 With news that the last male northern white rhino, Sudan,is gravely ill and may face euthanasiawhere he is being guarded in Kenya, it seemed like a good time to remember Sudan and those who kept him safe all these years. 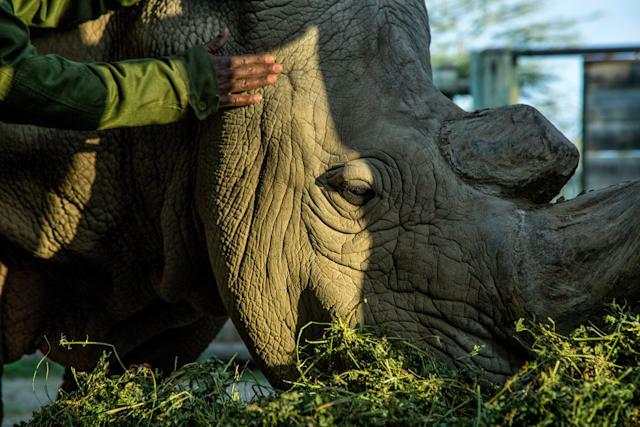 If he dies, it may mean extinction for his species. 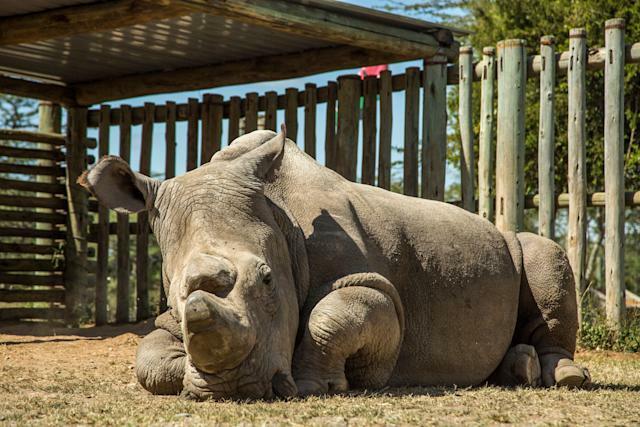 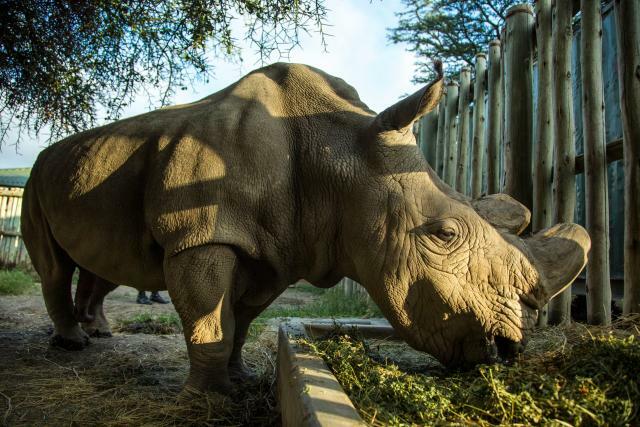 Sudan, one of three remaining northern white rhinos in the entire world, has been closely guarded at Kenya’s Ol Pejeta Conservancy since 2009, along with two female rhinos. 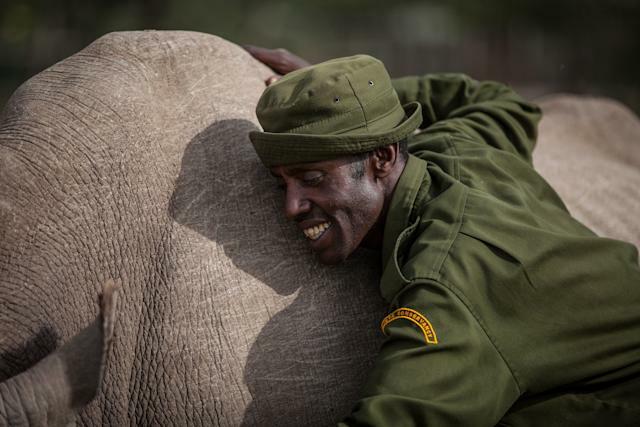 Photos over the years show the affection shown by his keepers and armed guards who take care of these magnificent creatures. 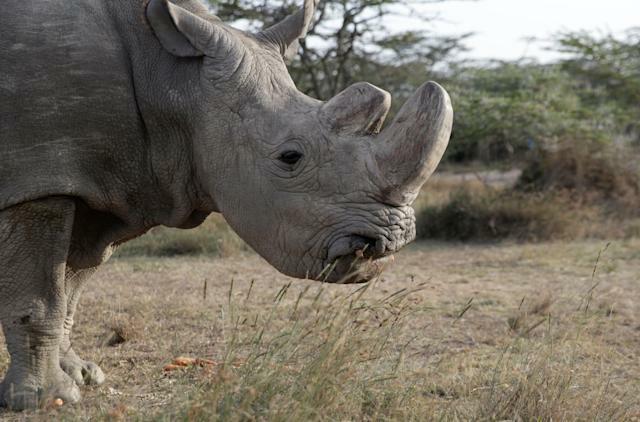 See photos below of Sudan’s life as one of the last northern white rhinos. 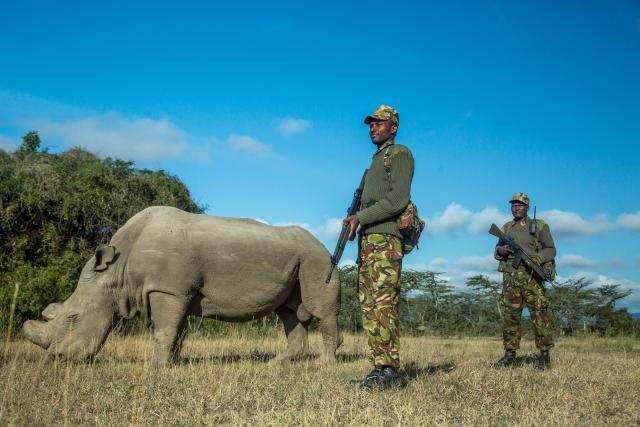 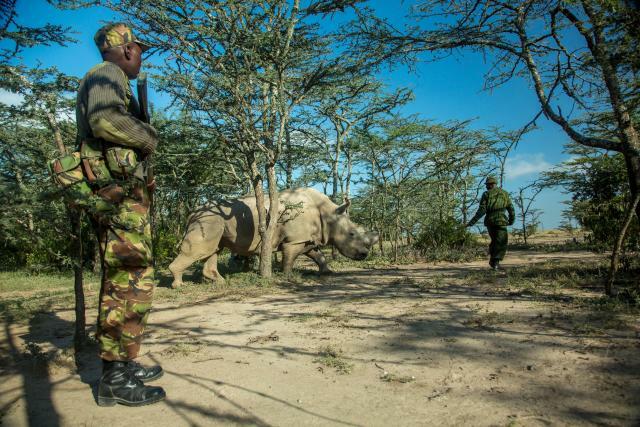 Sudan, a northern white rhinoceros, is protected by armed guards John Mugo and Daniel Maina at Ol Pejeta Conservancy on June 25, 2015, in Laikipia County, Kenya. 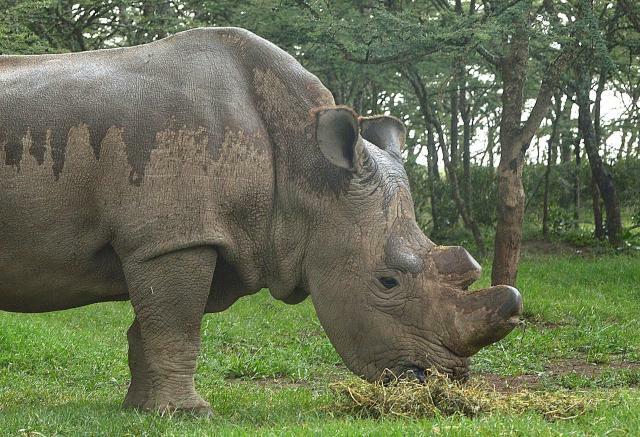 Keeper Zacharia Mutai with Sudan. 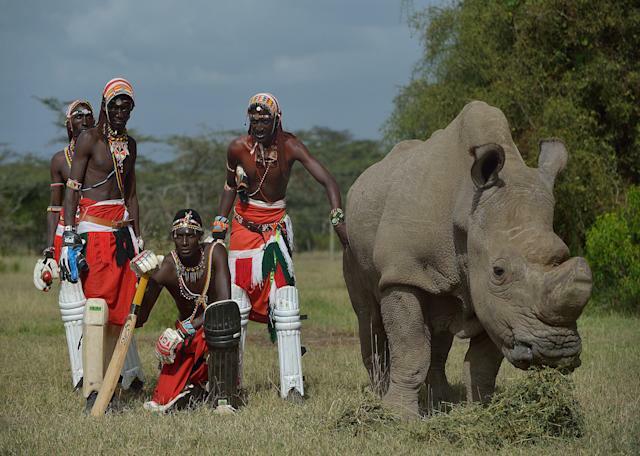 Members of Maasai Cricket Warriors, a cricket team famed for using the sport to raise awareness for HIV/AIDS, women's issues and now the devastating effects of poaching, visit Sudan. 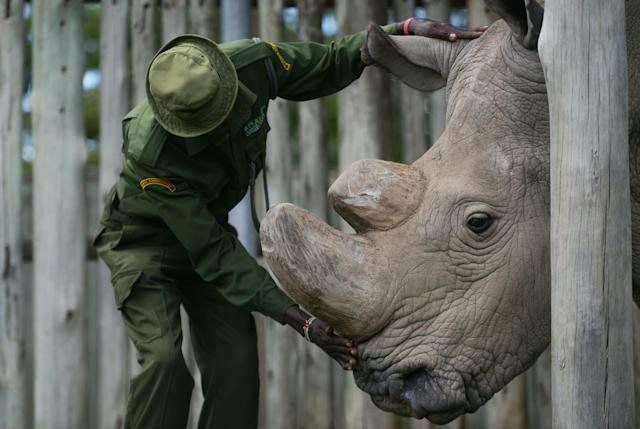 Sudan is seen at the Ol Pejeta Conservancy in Laikipia, Kenya, on June 18, 2017.